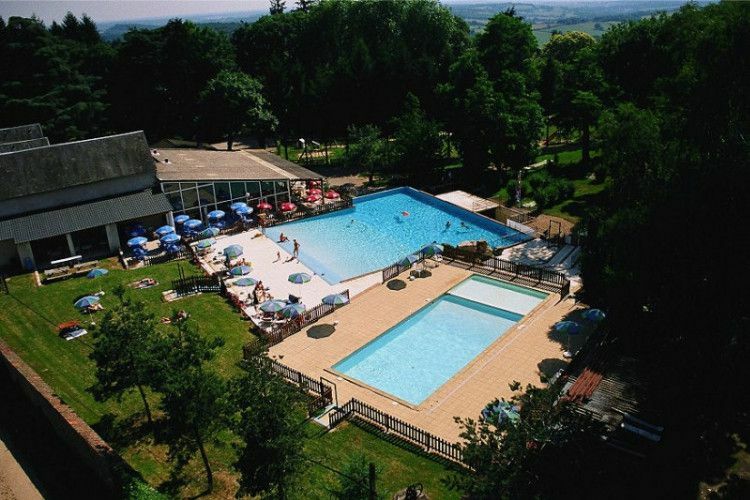 Nestled in the heart of the countryside in Saint Péreuse en Morvan, Manoir de Bezolle campsite provides you with a change of scenery. It is ideally located for exploring Dijon, the Nièvre and Burgundy. You will be charmed by the views over the hills of the Morvan Regional Natural Park. In July and August, entertainment is available during the day and evening. Nearby, white water or lake-based activities (canoe-kayak, rafting) and other outdoor activities (golf, mountain biking, bike tours, caving, climbing, microlights, adventure obstacle courses) are perfect for thrill seekers. For your convenience, you will find a grocery shop on site as well as a bar/restaurant. Motorway A6, exit D978 direction Autun/Nevers Motorway A77, exit D978 direction Château Chinon and Autun. The campsite is 500m after the junction for the D978 and D11. 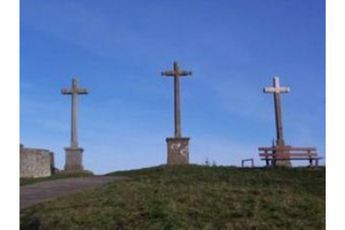 Le Bourg de Saint-Péreuse in the Nièvre sits at 355 metres of altitude. 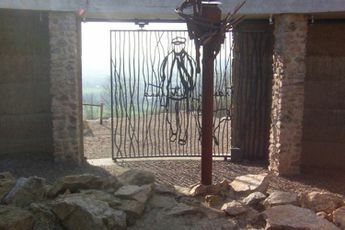 It overlooks the Veynon valley, on the edge of the granite soils of the Morvan mountain range and the clay-limestone foothills of the Bazois. 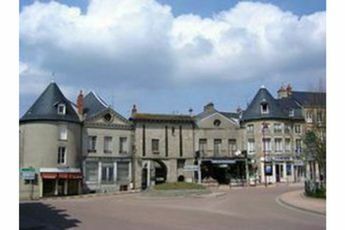 This little village has two castles, château de Besne and château de Saulières. 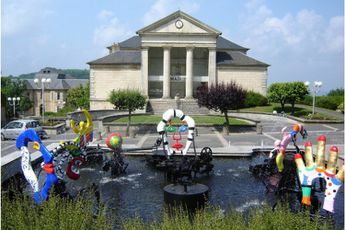 This is a beautiful starting point for discovering the Morvan and its unique landscapes: the Morvan great lakes, the caves in Arcy-sur-Cure, the gorges and falls in Narvau and the gorges of the Canche River, without forgetting the picturesque roads where the prestigious vineyards are. The town of Nevers, in the west, is a great place for a trip out to visit its many castles, the Ducal Palace of Nevers and its famous racetrack. In the north, a pilgrimage to Vézelay is a must for history lovers. This venerable shrine of the medieval faith has been classified as a UNESCO World Heritage Site. At the edge of the Morvan Regional Natural Park and in the middle of summer, you will be able to appreciate the coolness of its undergrowth. The nearest mountain to Paris, the granite massif of Morvan is actually covered with forests. On the beaches around the lakes, the summer visitors can keep in shape thanks to its many leisure activities. The gorges of the Canche river in Château-Chinon paint a typical picture of what we can see in the Morvan. In this valley, the streams descend into waterfalls, sculpting unusual shapes out of the granite. Turbulent streams and rivers are great spots for those who love fishing, canoeing and rafting. Sunny vineyards, steep hills, wooded countryside and plains as far as the eye can see largely make up Burgundy's landscape. If you're into cycling , you can take a 'véloroute' (a long-distance cycling route) in this region, which traverses the towpaths and vineyard tracks, weaving around the Morvan mountain, through wine growing villages and along rivers and canals. The neighbouring area of the Côte d'Or extends from Dijon to Beaune. Beaune, a flamboyant city of art and home to the noble trades of the vine and wine, invites you to discover, from its estates' cellars, prestigious vineyards, which neighbour the towns of Nuits-Saint-Georges and Meursault.